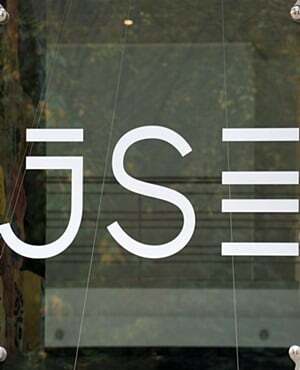 A relatively flat trading session ensued on the JSE on Monday, but it eventually closed softer as it tracked other global indices lower. Asian equities were mixed as the Hang Seng and Shanghai Composite Index closed flat, while the Nikkei closed 0.6% weaker. In Europe, there was broad based weakness as all the major indices traded in the red. The Dow Jones and Nasdaq also opened under significant pressure after Nvidia issued a profit warning ahead of its earnings release. Caterpillar missed its earnings estimates in its Q4 results released earlier today, adding further strain to US indices. Blue Label Telecoms [JSE:BLU] came under significant pressure as it fell 7.04% to close at R4.49, while Allied Electronics Corp [JSE:AEL] lost 9.1% to close at R17.18. Pepkor Holdings [[JSE:PPH] retreated mainly on the back of the release of its trading statement. The stock lost 4.29% to close at R20.10. Retailers generally struggled on the day as declines were recorded for Shoprite [JSE:SHP] which lost 3.21% to end the day at R180.03, while Truworths [JSE:TRU] closed 2.46% weaker at R80.96. Financials were not spared as FirstRand [JSE:FSR] dipped by 2.61% to close at R68.77, ABSA Group [JSE:ABG] closed at R175.61 after dropping 2.44%. There were some positives to take note of particularly for the listed property sector as into Properties [JSE:ITU] rallied 4.42% to close at R20.10, Capital & Counties [JSE:CCO] firmed by 3.45% to close at R44.44, and Hammerson [JSE:HMN] closed 3.59% higher at R65.50. Kumba Iron Ore [JSE:KIO] rallied on the back of the surge in global iron ore prices which saw the stock gain 6.08% to close at R309.00. Sibanye Stillwater [JSE:SGL] rose by 3.63% to close at R10.85, while coal miner, Exxaro Resources [JSE:EXX] managed to add 2.05% to close at R149.90. The JSE All-Share index eventually closed 0.52% weaker while the blue-chip JSE Top-40 index shed 0.61%. The Resources index was buoyant as JSE listed miners advanced despite softer commodity prices. The index closed 0.79% firmer. The Industrials index lost 0.89% while the Financials index slipped by 1.6%. At 17.00 CAT, Gold was 0.22% softer at $1 302.39/Oz, Platinum was down 0.81% to $811.52/Oz, and Palladium had lost 1.99% to trade at $1 336.93/Oz. Brent crude came under significant pressure as evidence of increased oil production in the US surfaced through a rise in the number of rigs. The commodity had lost 2.38% to trade at $60.17/barrel just after the JSE close. At 17.00 CAT, Bitcoin was down 3.45% to trade at $3 476.60/coin, while Ethereum had lost 9.18% to trade at $104.42/coin.